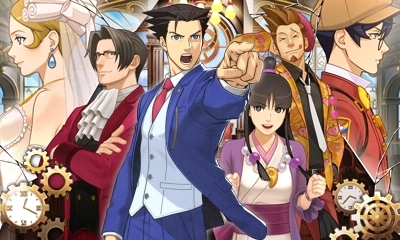 This is a general discussion thread for AA6's downloadable episode, Turnabout Across Time! Please use spoiler tags when discussing any plot points of the episode that haven't been officially announced. Note that this case will be available to download on June 30th. It will be free to download until July 20th, and be a paid download thereafter. I'd say Turnabout Reclaimed is our first case 6. Although DD wasn't linear in that regard it did have something to add to Nick's character development, getting his first case after getting his badge back and all. This link might die soon, but I found a livestream of the case. It's nearing its end though (as of posting Day 2 Trial has begun) Of course this means spoilers. They have that sort of dynamic. But I don't think Raito is guilty. Awwww, too bad I missed most of it. I'll check out the livestream from now on, though! Finished it myself. I didn't think it was as strong a case like the AA5 DLC case, but hey, it was free! In terms of length, I have nothing to complain about, basically what you'd expect from a case 2/3. Last edited by Ash on Thu Jun 30, 2016 3:16 pm, edited 1 time in total. Can we just appreciate that Nick's hair comes out in his X-Ray? I'm commending him more for streaming even though it's almost 1 am in Japan now. Even the Dragon's Dogma Online stream I was watching had to stop since it's pretty late at night. I'm just not sure on whose face to push my hand on. Yeah true, it went until 1am Japan time! "And everyone beat up Larry. The end." Also, where the heck did those two go with a jetpack while INSIDE the lobby? That's my Larry! So popular with ladies! I wish Franziska was there with them, her anger would be epic . 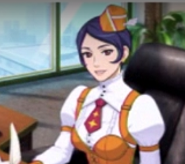 Question, who was the mystery character from AA/AAI that the courtroom skit for the DLC case was referring to? I'm pretty sure Larry was dis proven not to be that character. When no other bird dares to take wing. Bolt, do you have any plans to livestream this one? 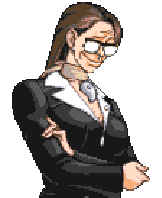 I'll be back here later with a bunch of questions and stuff so I can start shoving it in the wiki like I did for Turnabout Theatre and Turnabout Revolution. He did catch the bouquet in the end, so who knows? Maybe he WILL get married next. The ending was the dig as shippers we needed, but not the one we deserve right now. 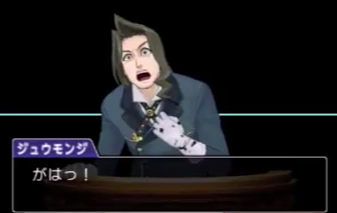 Damn, I was really hoping to see Maggey or Franziska return. 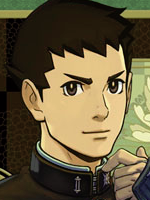 By the by, where's Trucy? 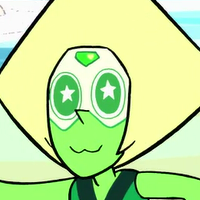 I'm skipping through the video and haven't seen her yet. and who is the victim? Last edited by FenrirDarkWolf on Thu Jun 30, 2016 5:54 pm, edited 1 time in total. "take my case or I'll kill my hostage" deal?!? Nope, just to free up space for Nick's assistant. but who are you　and who is the victim? So what exactly happens during the case? A body is discovered after the wedding reception. Shizuku, bride of Raito Haguruma, is suspected. She claims to have traveled in time, because she remembers being attacked by the victim (like her, a servant of the Haguruma family) after the reception, and then having experienced the reception again. In the first trial day, it is revealed that there had in been in fact two receptions. 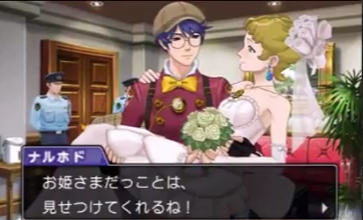 Apparently, Raito and his butler Jumonji had found Shizuku with the dead victim (after the first reception), and they decided to hide the body and make it seem like Shizuku had gone back in time (so she wouldn't know/believe she had commited a crime). That the body was eventually discovered, was because of Larry's meddling. On the second trial day, you find out that Raito has a memory disorder: he doesn't remember anything beyond the day he had a traffic accident which killed her sister Hikari (it was said the victim had been the driver at the time). Raito has to write everything done in a memo to 'remember' anything. 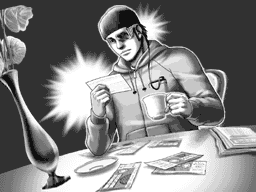 Phoenix finds out that someone has tampered with Raito's note, and also that it had been in fact Raito who caused the traffic accident (the victim had been made a scapegoat). In the end, it is revealed the butler Jumonji is the murderer. He had been the fiance of Hikari and also the surgeon on duty when Raito and Hikari were brought in after the accident. Hikari had asked Jumonji to save her brother, but she died. Jumonji wanted revenge, as did the victim (for being made a scapegoat), so they had planned to kill Shizuku to get revenge on Raito. The attack by the victim was countered by Raito, and initially, Raito thought he had killed the victim. His plan failed, Jumonji played along with Raito with his plan to conceal the body in the sculpture to buy some time. However, the victim had not been dead yet. During the second reception, the victim got out of the sculpture, and Jumonji killed him then for real with the time machine clock (and then made it seem like Shizuku had been the murderer, by erasing Raito's "memory" of having hit the victim first). Last edited by Ash on Fri Jul 01, 2016 6:05 am, edited 1 time in total. What was the deal with Datz having memory issues at the start of case 3? That was just an act, right? Or did he seriously have amnesia for some reason? In Case 3, Datz pretended to have memory issues. In Case 4, Biffu's fourth personality doesn't share memories with his others. In Case 5, Inga has prosopagnosia. 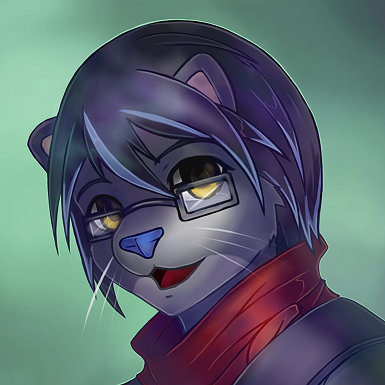 In DLC Case, Raito cannot remember anything from after the accident. 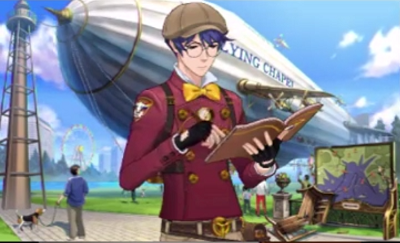 As such... is the only way Raito remember his love for Ootusubu is because he wrote it down? Or were they together prior to the accident? 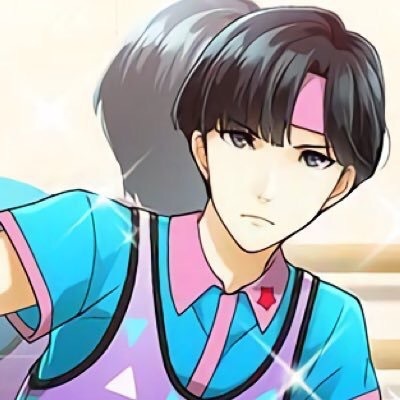 When both the DLC case arts are Phoenix pointing. 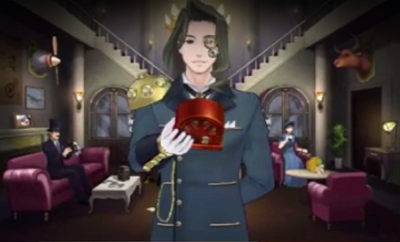 This case also has this strange... clock/gearpunk aesthetic to it to me. So Raito suffers from severe post-traumatic anterograde amnesia, then? I don't remember all the details of that part, but IIRC, Trucy did do the spin, but it had been edited out of the film footage to make it seem she hadn't switched the blades. Aww, poor Raito has anterograde amnesia!? No wonder he looked so lost without his notebook! How much Maya is in this DLC case? Is there any Nick/Maya shipping in it? They didn't ship her much in the main story so I guess/hope at least they put some in this extra case. How much Maya is in this DLC case? She joins Phoenix pretty much at the very start of the story, and remains your assistant all the way until the end. Unpopular opinion: I actually love how few 'canon' ships there are in the game series, because it leaves things open to interpretation. I personally hope they never solidify any kind of ship for the main characters. 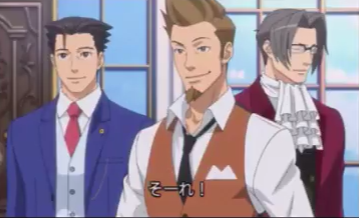 Don't know about shippings, but Phoenix, Maya and the judge were pretty merciless with their jokes about the topic of Edgeworth & marriage throughout the case.